Kinnegar celebrates Thanksgiving this Thursday with the debut of our first special brew. We have a lot to give thanks for in 2013. 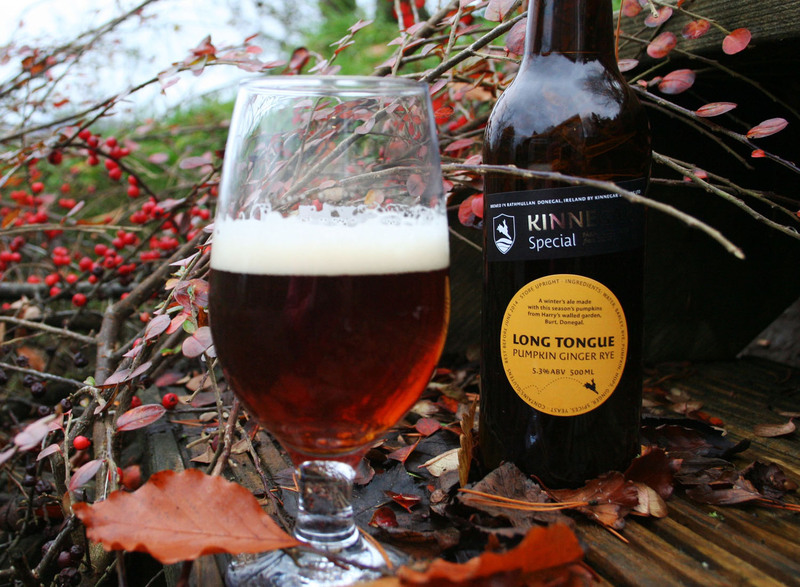 Long Tongue is a warming winter’s ale made with pumpkin, ginger, rye and a hint of cinnamon. Special thanks to Donal Doherty at Harry’s restaurant in Bridgend for supplying this season’s pumpkins from his walled garden at Burt, and to Keelan McMichael and staff at Rathmullan House for helping Rick to roast them. Happy Thanksgiving. This entry was posted on November 26, 2013 by kinnegarbrewing. It was filed under A brewery grows, On the grapevine, On the ground .